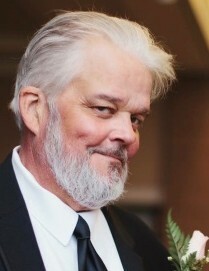 Donald Edwin Byrne, Jr., 56, of Senatobia, MS passed away on September 3, 2018 at Baptist Memorial Hospital Desoto. He is survived by his wife, Renee Byrne of Senatobia, MS; daughters, Kaitlyn Reid (Keegan) of New York, NY and Rebecca Cobb (Caleb) of Starkville, MS; sisters, Susan Byrne of Houston, TX, Jane Byrne of Baton Rouge, LA, Peggy Byrne of Lafayette, LA and Shirley Byrne of Natchez, MS and brother, Joseph Byrne of Natchez, MS. He was preceded in death by his father, Donald Byrne, Sr.; mother, Barbara Byrne and brother, Mike Byrne. A memorial service will be held at 2:30 p.m. Sunday, September 9, 2018 at 4235 State Park Road at the John W. Kyle Lodge in Sardis, MS 38666.